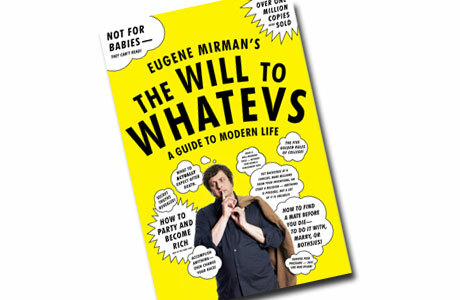 Absurdist Eugene Mirman possesses no "life coach" qualifications but in his hilarious new book, The Will to Whatevs - A Guide to Modern Life, he pretends. 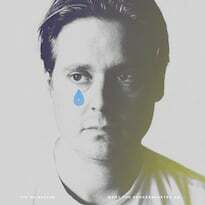 The New York-based comedian is a gutsy humourist; his stand-up records for indie rock labels Suicide Squeeze and Sub Pop, short films, and political coverage for 236.com speak to his singular range. Whether re-defining the world in chapters like "The Fifty N's of Nightlife" or "Ca-Motherfuckin'-Reer, Ca-Motherfuckin'-Job, and "Ca-Motherfuckin'-Business," Mirman cuts to the chase. "The first thing in any family is to not sexually assault the other members," Mirman advises in chapter five, "Family." "This rule is doubly true for uncles, according to several songs by the Who." Often baseless, Mirman's culture-soaked pronouncements are laugh-out-loud funny, which is really help enough.